The Weismann Spyder concept that debuted in 2011 never saw production, rumor says, because of the recession. Now reports give new life to the rumor that it could see the streets. 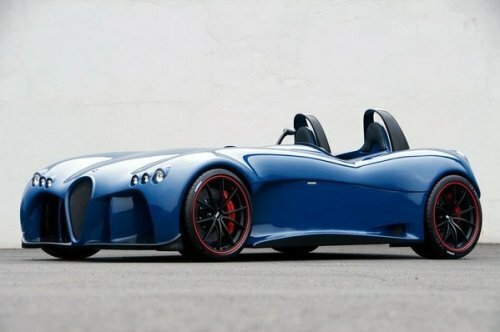 The Spyder concept debuted at the beginning of 2011 and promised to be the German luxury sports car maker's most extreme offering to-date. Rumors at its unveiling said the Weismann Spyder was slated for production fast-track, but Eurozone economics have kept that in check. Now, a new report on TopSpeed says that the supercar could enter production yet. The company, says TopSpeed, has neither confirmed nor denied that the Spyder will go to production - which is definitely not a "no." The concept was a powerful one. The sleek roadster spyder design was typical of Weismann saloons, with the driver sitting just ahead of the rear wheels to accommodate a huge engine compartment that occupies most of the tiny car's displacement. The little Spyder concept weighed under 2,200 pounds and was little more than a shell to carry the huge 4.0-liter V8 from BMW, pumping out 420 horsepower to give the little Spyder a 0-60 time of barely 4 seconds and a top speed of 180 miles per hour. Last year, Weismann put out the final version of their venerable MF3 roadster, which this concept is based upon, and the company has yet to name a successor to that model, one of their best offerings so far. This could be good or bad news for the Spyder, depending on how you look at it. If Weismann is serious about shelving the Roadster MF3, then this Spyder that's based upon it would have to be shelved as well. If, however, the company wants to get one last run out of one of their most popular models, then what better way than to put out a supercar version of it - ala this Spyder concept? Whatever the case, the German super car maker is on a roll, with a recent top-shelf showing at the Goodwood Festival of Speed. The Germans will probably scream bloddy murder but it looks a little like the 1930s French Talbot racer.